Last week, we showed you a leaked render of Samsung's new smartwatch which, depending on the day of the week, is either the Samsung Galaxy Sport or the Samsung Galaxy Active (SM-R500). 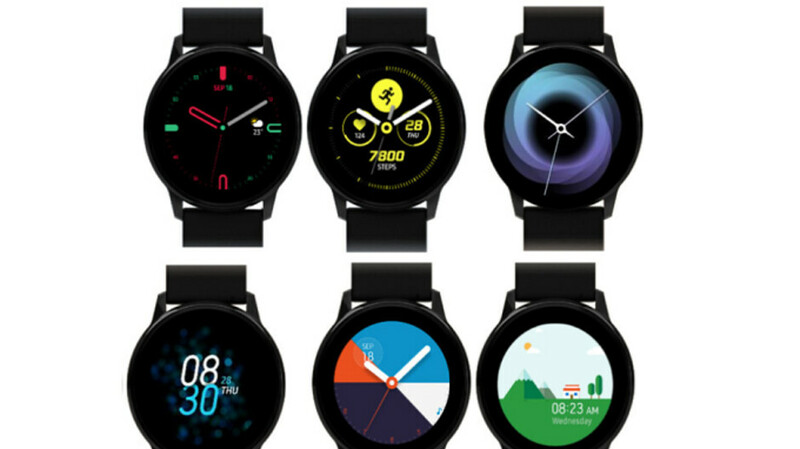 Today, SamMobile posted a batch of renders (via Android Authority) confirming previous speculation that users will not navigate the timepiece by turning the outer bezel. There is no outer bezel on this device; trying to turn a bezel that isn't there is akin to removing a contact lens from your eye that has already fallen out. And without a dial to rotate on the watch, swiping and scrolling might be the only modes of navigation. The report says that the Galaxy Watch Active will feature a 1.1-inch AMOLED screen with a circular 360 x 360 resolution. The battery weighs in at 236mAh, a much smaller capacity than the 300mAh battery that powers the Samsung Gear Sport. A redesigned charger will power up the smartwatch by allowing it to sit flat on its surface. If you're out and about and happen to own the Galaxy S10e, Galaxy S10 or Galaxy S10+, you can use the reverse wireless charging capabilities expected to be offered on the trio. Keep in mind that the power you use to charge the watch is power being zapped from your phone's battery. And the process is said to be very slow. Other rumored specs include the Exynos 9110 chipset (with a dual core CPU), NFC for Samsung Pay, Bluetooth 4.2, and Wi-Fi connectivity. The watch will support Bixby Reminders and will be pre-installed with Tizen (version 4.0.0.3). 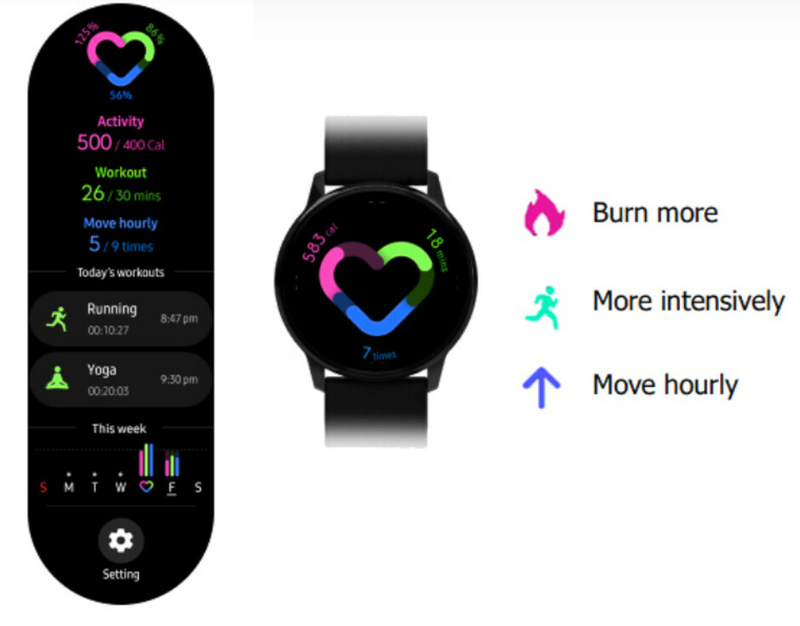 A leaked image reveals that the smartwatch will have an Activity Tracker that will give wearers a quick peek at the number of steps they've taken, the workouts that they have sweated through, and more. And if the user desires, he can enable a setting that will continuously monitors his heart rate, giving a notification if it runs too high. We expect to see the Samsung Galaxy Watch Active unveiled along with the new Galaxy S 10 line and the Galaxy Ear Buds on February 20th. Looks, features, and battery life will be great, just optimize the software Samsung. That was my only issue with the Galaxy Watch. With a bezel that thick, there was plenty of opportunity to put in the rotating bezel. This product is DOA in my opinion.